Ralph Sean Green is the coolest caterpillar you’ve ever seen. He can change his skin. He can change his shape. He can change his color. He eats a lot of milkweed leaves, chewing and chomping. 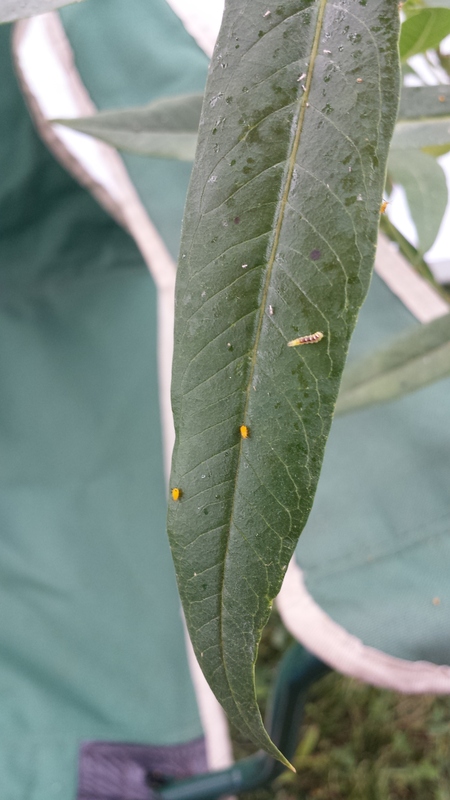 The caterpillar will eat most of the milkweed in the last few days before it turns into a chrysalis. At first glance, he is just another thing crawling. Catching the caterpillar changing into a chrysalis is the fun stage. 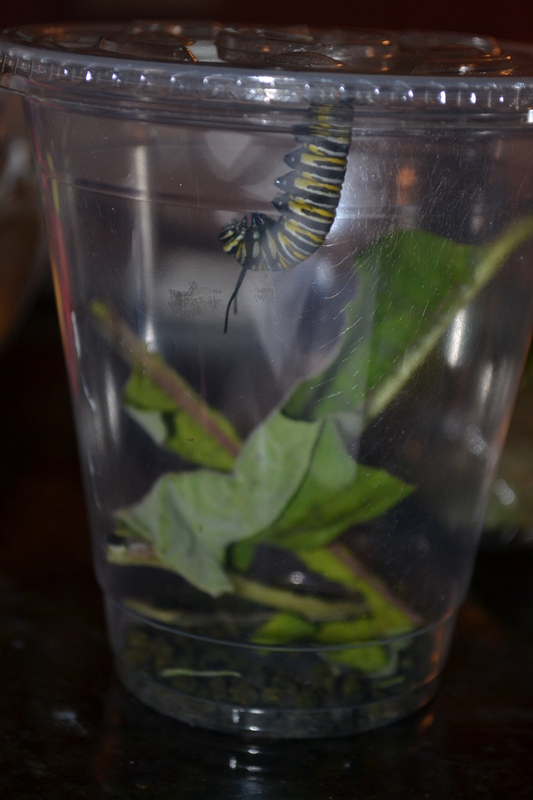 The caterpillar will climb up to the lid of the cup and spin a silk structure to attach itself. It will then hang down in a “J” shape for about a day. What does he do when you’re not looking? 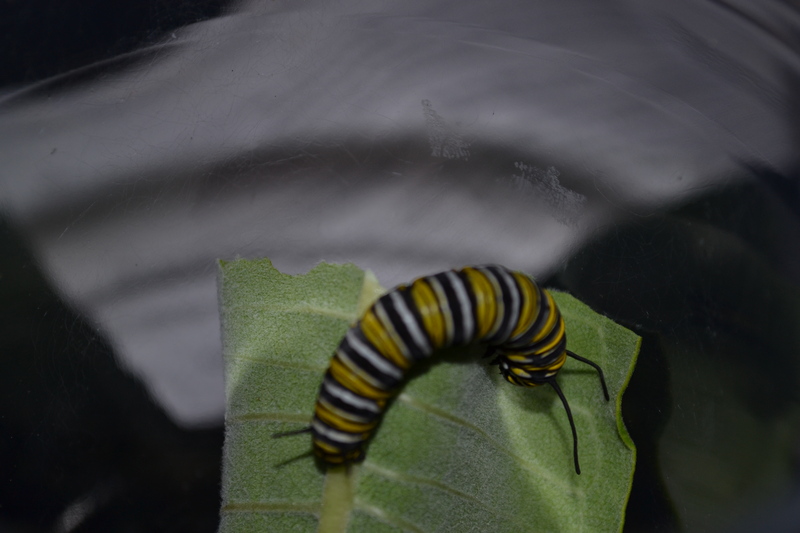 He started as a speck of an egg on a milkweed leaf, ate his way to caterpillar size before performing his Hoodini hanging magic trick. Before it becomes a chrysalis (pupates), the caterpillar will straighten and the antennae will become segmented. The color of the skin changes a bit. The caterpillar may move more. Once the process starts, the skin will split and the pupa will emerge. It takes about ½ hour to 1 hour to complete the transformation. 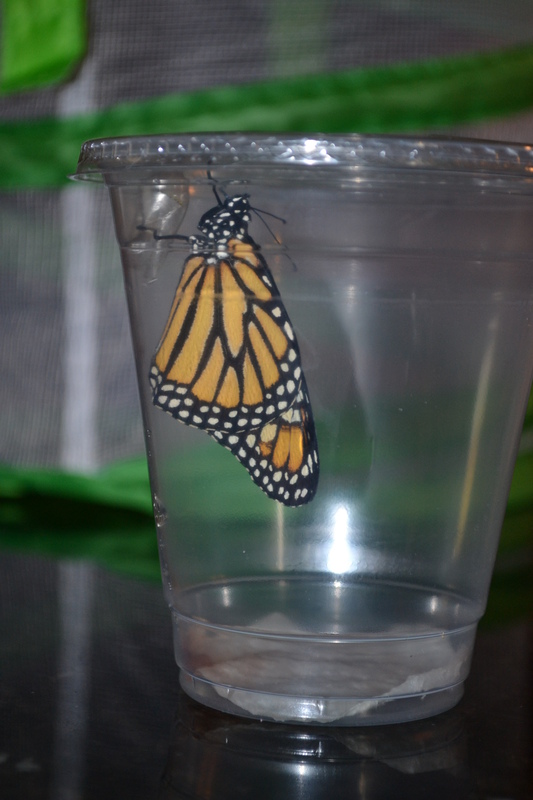 The butterfly will be in the chrysalis stage for 9-14 days. 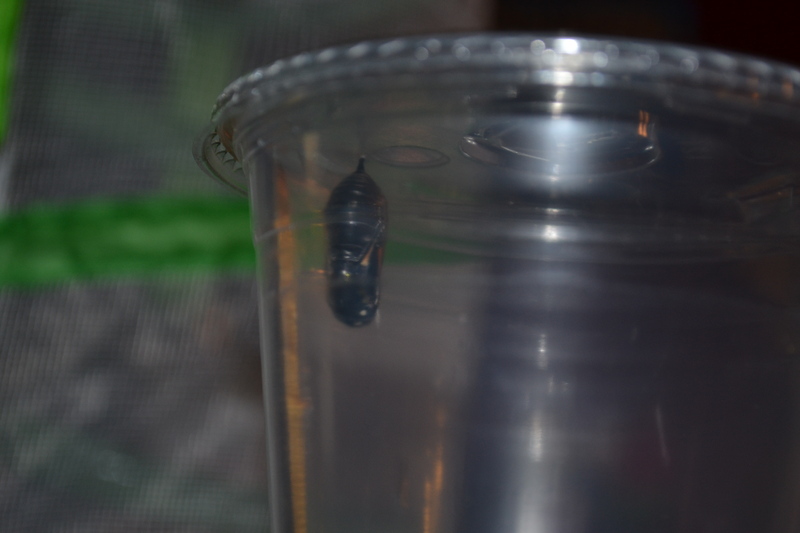 The day before the butterfly emerges (ecloses) from the chrysalis, the chrysalis will turn black, and then becomes clear and you can see the butterfly inside. Ralph Sean Green falls out, and waits on his wings to dry. On a journey toward the winter siesta. Ralph Sean Green may not have a map but he knows where to go. For thousands of miles, he stops to sip some nectar, and picks up traveling companions on the migration to Mexico’s mountaintops. Each fall, hundreds of millions of monarch butterflies migrate from the United States and Canada to overwintering areas in Mexico and California where they stay during the winter until the return flight in the spring. The butterflies meet in the same place, during the same season, but each year it’s a different generation that continues to find the way. 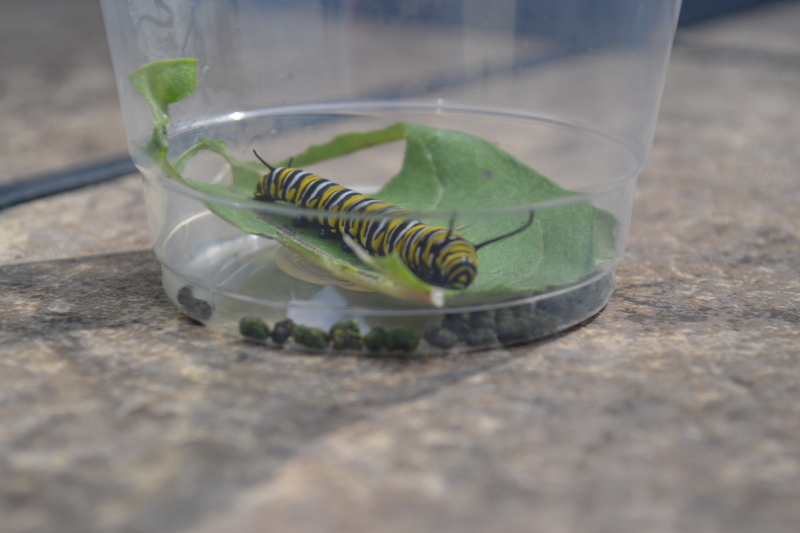 GROW your own Monarch – Backyard Butterflies is at the Cumberland Farmer’s Market and has caterpillars during the summer until early September check out their Facebook Page!